Supporters for Meek Mill rallied outside the Philadelphia courthouse while his lawyers gave him new hope inside. The District Attorney gave him a big boost. 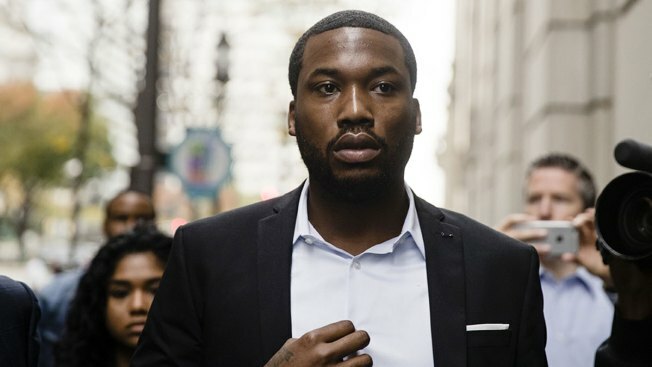 Philadelphia rapper Meek Mill is inching closer to freedom after the District Attorney’s office on Monday called for a new trial to be set. Assistant DA Liam Riley told Philadelphia Common Pleas Judge Genece Brinkley that Mill’s original trial and sentence was called into question earlier this year after the name of his arresting officer appeared on a list of alleged corrupt cops in Philadelphia. The testimony given by former Officer Reginald Graham could not necessarily be trusted, Riley said. But Brinkley, who presided over Mill’s initial case in 2007, was not swayed by either the prosecution nor Mill’s defense team, who asked for a new trial date. Instead, the judge set an evidentiary hearing for June 18. Mill’s defense team also asked that the case be handed over to Judge Sheila Woods-Skipper, who will be hearing other cases involving the officers included on the list. Brinkley bristled and said she would need to consult with Wood-Skipper before agreeing to anything. Brinkley also refused to hear any mention of granting bail. Defense attorney Joe Tacopina said Mill’s team will appeal to the a Pennsylvania Supreme Court. "We’re elated the District Attorney's Office has agreed to a new trial,” Fellow defense attorney Brian McGonagle said outside the courtroom. "The office has shown a great amount of integrity granting our request for a new trial. They have recognized and determined the criminal behavior on the part of the arresting officer, which dates back to Meek’s arrest." Mill's team has also been carrying out a high-profile public relations campaign to exert pressure on the judge. Civil rights leaders, politicians, entertainers, and even New England Patriot's owner Robert Kraft have visited Mill in prison and called for his release. Outside the Criminal Justice Center, cheers erupted as news spread. Demonstrators carrying Free Meek Mill signs danced in the streets. Mill’s mother, Kathy Williams, told NBC10 while she is hopeful, she is also frustrated by the legal wrangling. "I’m just so tired,” she said. “I really don't know what else to say."